If you’re like most people, the kitchen is the heart of your home. When your family and friends get together for holidays and celebrations, most of the time is spent in the kitchen catching up with each other while preparing, cooking, or cleaning up after a meal. Whenever there’s a party, the kitchen almost always becomes the place where guests hang out and chat. The kitchen is where we build memories with family and friends. The shape these memories take will have a lot to do with the way your kitchen is designed. Will your mother-in-law remember the conversation you had while she helped you cook dinner, or will she remember the fact that the kitchen felt disorganized and uncomfortable to cook in? Will your party guests tell everyone about the laughter you all shared while you were chatting in the kitchen, or will they tell everyone how out-dated it looked? If your kitchen is creating the wrong type of memories, it’s probably time to consider some new interior design. At Sylvie Meehan Designs we specialize in creating kitchens to fit your life AND your lifestyle. 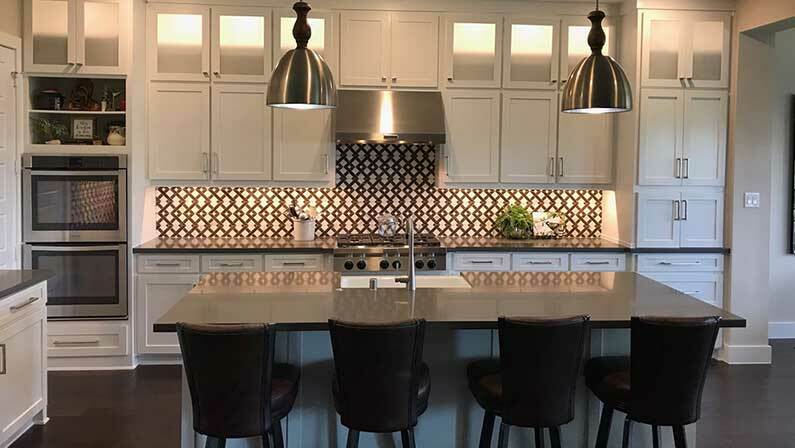 As an experienced interior designer, specializing in bathroom and kitchen remodeling, Sylvie Meehan Designs will work with you to design a kitchen that works for you. How many people are using your kitchen? What happens in your kitchen? What bothers you about your existing kitchen? If you could have any kitchen you want, what would it look like? During the space planning phase we create the floor plan for your dream kitchen. We determine what you should keep, and what’s in the way of your dream kitchen. We map out the best layout for your kitchen, taking into account the placement of your walls, cabinets, plumbing, electrical and appliance fixtures; all the while keeping your budget in mind. We make sure your kitchen remodel is not only fabulous, but functional. Once the space planning is complete we’ll provide you with a 3D CAD design; giving you a better vision of how your kitchen remodel will look. Selecting the materials for your kitchen remodel is an involved process that requires knowledge and experience. This is one of those “you don’t know what you don’t know until it’s too late” situations. Sylvie Meehan Designs stays on top of the latest interior design trends and innovations in the world of interior design. We know where to get the highest quality materials that will fit your home remodel budget. Just as important as using the right vendors to get the materials you use, is the order in which they are selected. If your selections are done incorrectly you could literally paint yourself into a corner. We select your materials in the correct order so you always have the most options at every step in your kitchen remodel. The execution phase is when using a professional interior designer is the most critical. When you remodel your kitchen you want it to go as quickly and smoothly as possible. You need someone who can speak your contractor’s language. You need someone who knows what order the work should be done in so your kitchen is back up and running ASAP. At Sylvie Meehan Designs we know how to stay on top of everything so you don’t have to. 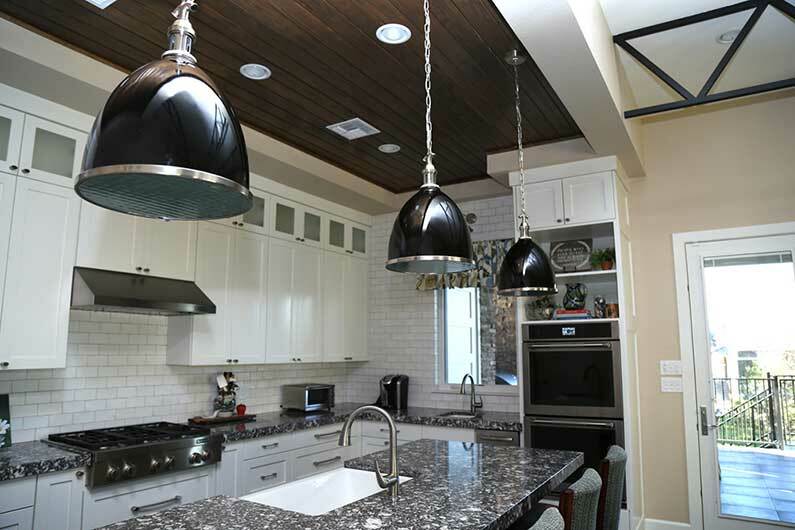 We’re experienced with kitchen remodels of every shape and size. We know how to avoid roadblocks that could bring your project to a sudden stop. Don’t forget your outdoor kitchen! Let Sylvie Meehan add usable square footage to your home by doing some interior design on your exterior kitchen. You’ll have more fun than ever cooking in your custom-designed garden area gourmet kitchen. Your barbecues and garden outdoor parties will never be the same.